We are delighted to have been invited back to Country Living Magazine’s Christmas Fair and this year we will be running a crafting workshop helping participants make their own Advent Candle Table Decoration as well as demonstrating our Special Christmas Stollen in the Country Living Kitchen. 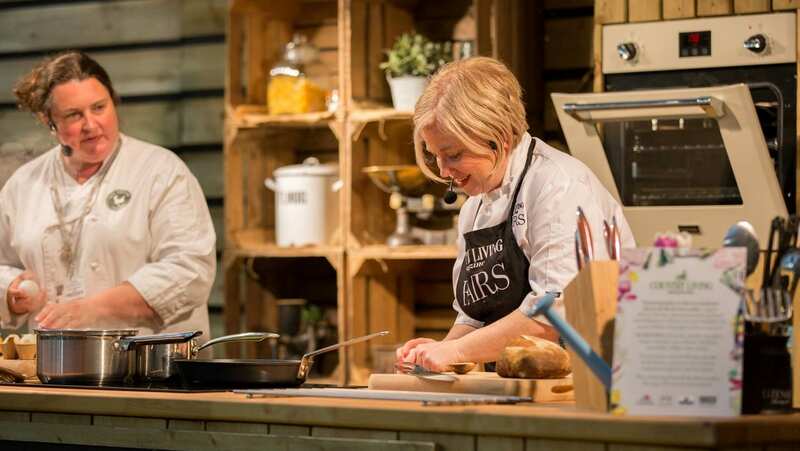 If you weren’t able to book in to our workshop at the Country Living Christmas Fair, we’ve got some fabulous festive courses coming up over the next month or so and would love you to join us! Our new course Become A Bread Angel – Start Your Own Micro Bakery is fully booked and we look forward to watching all the new angels fly! Are you starting to think about Christmas and how do you like to prepare? Would love to come along and get some inspiration. I think I need it! We’ve got a pair of tickets for you, and will email the details. Would love to go as it get’s me right in the spirit and provides lots of idea – after all there’s only 54 days to go till Christmas!